MasterResource is a forum about energy markets and public policy. Precisely because energy is the lifeblood of the modern economy – the “master resource” that affects the production and use of all other resources – energy markets are often thought of as “different” and thus deserving of special political direction. We believe that the economic rules governing energy are no different from those governing other markets and are thus skeptical about government intervention. Drawing on this perspective, MasterResource hopes to better inform the energy debate in a civil but forceful manner, without recourse to political partisanship or ideological cant. More than two hundred authors have contributed to MasterResource since its founding in late 2008. Each author’s analysis and opinion are that person’s alone and do not necessarily represent the views of other authors and that of the Institute for Energy Research. MasterResource welcomes comments of substance that are on-topic and in good taste. MasterResource comments that are cross-posted elsewhere by the author should follow the same standard for comment privileges. Rob Bradley’s interest in energy began when he prepared a study on the oil-reseller boom for a Houston bank in 1980. This investigation into the interplay of business and 1970s oil price and allocation regulation led him to apply for a grant from the Cato Institute to write a history of U.S. oil and natural gas regulation, an anticipated 18-month project that turned into five years of full-time effort. After nearly a decade of trying to find a publisher for the 2,000-page tome, Oil, Gas, and Government: The U.S. Experience was published in two volumes in 1996 by Rowman & Littlefield. That beginning was followed by 16 years in the energy industry. In 1985, Bradley joined HNG-InterNorth (soon to be renamed Enron) as a Houston-based analyst with Transwestern Pipeline Company, which sold natural gas to the California market. An interstate gas transmission company, Transwestern was regulated by the Federal Energy Regulatory Commission (FERC), which provided Bradley with an education into cost-of-service, public-utility regulation. With natural gas as the swing fuel in California’s electricity generation, Bradley also became conversant with the electricity market and public-utility regulation of gas and electricity on the state level. The California Public Utilities Commission was also active in environmental programs, as was the California Energy Commission. In 1995, Bradley left Transwestern to become director of public policy analysis at Enron, a corporate staff position. A primary job was preparing speeches for chairman and CEO Ken Lay, but Bradley also was involved in legislative and regulatory issues. It was here that he became very involved in the internal debate over global warming strategy and renewable energy. His criticism of climate alarmism and Enron’s “political capitalism” is evidenced by memos posted on the website, www.politicalcapitalism.org. Today, Bradley is CEO and founder of the Institute for Energy Research; an adjunct scholar of the Cato Institute and the Competitive Enterprise Institute in Washington, D.C.; and a visiting fellow of the Institute of Economic Affairs in London. 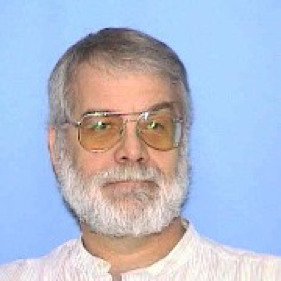 Bradley is also a senior research fellow of the Center for Energy Economics at the University of Texas at Austin, among other honorary affiliations. Bradley’s most recent book is Capitalism at Work: Business, Government, and Energy (M&M Scrivener Press), which applies the capitalist worldview to corporate and energy controversies. His website www.politicalcapitalism.org covers this work and two forthcoming books in his trilogy on political capitalism in the energy industry. Bradley’s other books are: The Mirage of Oil Protection (1989); Julian Simon and the Triumph of Energy Sustainability (2000); Climate Alarmism Reconsidered (2003); and (with Richard Fulmer) Energy: The Master Resource (2004). G. Allen Brooks has spent 40-plus years in the energy and investment industries as an energy securities analyst, an oilfield service company manager, a consultant to energy company managements, and a member of the board of directors of oilfield service companies. Since 2005, Mr. Brooks has been an advisor to PPHB LP, a boutique oilfield service investment banking firm with offices in Houston and Calgary. There he publishes his highly regarded energy newsletter, Musings From the Oil Patch, and provides proprietary research for the firm’s partners. 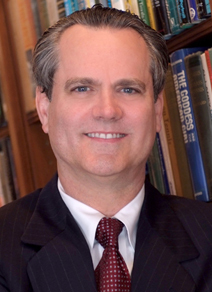 Brooks holds a BA in economics from the University of Connecticut and an MS in economics from Cornell University. John Droz Jr. is the founder of Alliance for Wise Energy Decisions (AWED), a 10,000-member international coalition promoting science-based energy and environmental policies. Mr. Droz received undergraduate degrees in Physics and Mathematics from Boston College, a graduate degree in Physics from Syracuse University, and has been a Mensa member. He worked for GE Aerospace Electronics, Mohawk Data Sciences, and Monolithic Memories. After retiring at age 34, he has focused on educating citizens about energy and environmental issues. John has been a guest speaker on dozens of radio and TV shows nationwide, as well as lectured to numerous organizations on energy and environmental issues. In addition to publishing more than one hundred articles on energy policy, Droz has testified before the North Carolina legislature and the U.S. House of Representatives Science & Technology Committee. Mark Krebs is a mechanical engineer by training with over thirty plus years of broad experience managing both natural gas and electricity energy efficiency programs for several major utilities. Mark’s unique perspectives were summarized by MasterResource in June 2016 by the following article: •	Mark Krebs: Digging Down on Energy Efficiency Claims (an interview) Some examples of Mark’s publications (besides those published here) include: •	“It’s a War Out There: A Gas Man Questions Electric Efficiency” (Public Utilities Fortnightly December 1996). •	“Fundamentals of Desiccant Dehumidification Technologies in Commercial Air Conditioning Systems,” (Improving Building Systems in Hot & Humid Climates, October 9-10, 1990). Mark is presently employed by Spire Inc. (formerly the Laclede Group and Laclede Gas before that) where he has been since 1994. Please note that Mark’s comments do not necessarily represent the official positions or policies of Spire or anyone else for that matter. Lisa Linowes is cofounder and executive director of the Industrial Wind Action Group (www.windaction.org), a national advocacy group focusing on the impacts and public policy associated with industrial-scale wind energy development. She has testified before the U.S. Congress; discussed/debated wind issues at events held by National Association of Regulatory Utility Commissioners (NARUC), New England Wind Energy Education Project (NEWEEP) Conference, and the Midwest and Northeast chapters of the Energy Bar Association annual meetings; appeared on CNN, NPR, and CBS; and been quoted in the New York Times, Washington Post, Los Angeles Times, and dozens of newspapers in the U.S. and abroad. Ms. Linowes, who holds a B.S. in computer science and an MBA, has served as technical advisor for Laura Israel’s Windfall, the award-winning documentary on the impact of large-scale wind development on rural communities. Linowes also co-hosts Wind Wise Radio, a weekly internet-based radio show that features current events and interviews on the topic of wind energy development. In addition to the above work, Lisa is a conservation and land-use advocate with more than 20 years of executive business experience. 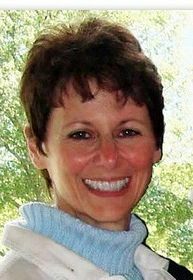 She has held high-profile elected and volunteer positions in community planning, land negotiation, and education outreach. 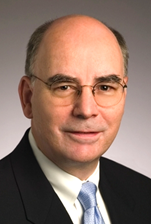 Robert P. Murphy is a Senior Economist with IER specializing in climate change. His research focuses on the estimation of the "social cost of carbon," including the proper discount rate to be used in cost-benefit analyses and the implications of structural uncertainty for policy solutions. Murphy received his Ph.D. in economics from New York University in 2003, where he wrote his dissertation on capital and interest theory. After teaching at Hillsdale College for three years, he moved to the financial sector to work as an analyst for Arthur Laffer (of Laffer Curve fame). 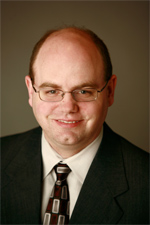 In addition to his role at IER, Murphy holds positions at several other free-market organizations, including Senior Fellow with the Fraser Institute, Research Fellow with the Independent Institute, and Associated Scholar with the Mises Institute. 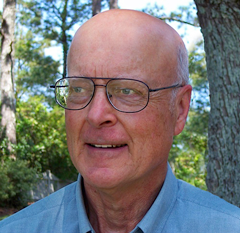 Murphy has written more than 100 articles for the layman on free-market economics and is the author of numerous books, including Choice: Cooperation, Enterprise, and Human Action (Independent Institute, 2015), Lessons for the Young Economist (Mises Institute, 2010), and The Politically Incorrect Guide to Capitalism (Regnery, 2007). He has also given numerous radio interviews and public lectures on economic topics. Murphy has also published several scholarly articles and notes in peer-reviewed journals, including The Journal of Private Enterprise, The Journal of the History of Economic Thought, The Independent Review, The American Journal of Economics and Sociology, and The Review of Austrian Economics.